If you have any questions about buying or selling a home in Fillmore, feel free to reach out to Ventura County Homes By Ainslee by filling out one of the forms on this page, by email at AinsleeCharles@Gmail.com, or by call/text to 805-232-8503. If you are looking for a real estate agent in Fillmore, you’ve come to the right place. The mission of Ventura County Homes By Ainslee is to provide the highest level of service to all clients. Ainslee Charles and team work with the most experienced real estate professionals in Fillmore to create a productive work environment. Honesty and integrity are the foundation of Ventura County Homes By Ainslee. As a real estate agent in Fillmore, Ainslee believes in always telling her clients the truth, even if that may not be what a client wants to hear. There are many agents who will make promises to clients even if they know they cannot deliver on those promises. Ainslee knows that housing prices are determined by the market and any realtor has very little say in what the house will eventually sell for. Ainslee Charles is part of the Cherry Wood team at Ventura County Property Shoppe. 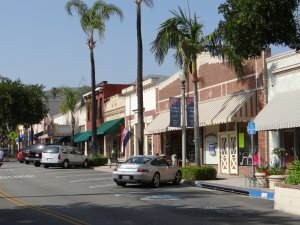 Ventura County Property Shoppe is a local, “boutique” brokerage. Unlike many of the national brokerages, this gives Ainslee and team an intimate familiarity with Fillmore and the surrounding areas. She takes extreme pride in helping Fillmore residents sell their current properties or in their search for a new home. Along with being a real estate agent in Fillmore, Ainslee also provides services to all of Ventura County, including Port Hueneme, Ventura, Moorpark, Oxnard, Thousand Oaks, Simi Valley, Camarillo and Ojai. For those looking for a real estate agent in Fillmore to help list their home, Ventura County Homes by Ainslee offers many advantages. She works to understand every one of her clients’ unique situations so that she can come up with the best options for meeting your goals for selling your Fillmore house. Some clients are looking to sell their house for top dollar while others mainly want a fast, hassle free transaction. Whatever the case may be, Ainslee can help. She will provide you with a Comparative Market Analysis (CMA) so that you have the information you need to effectively price your home. Once your house is on the market, she works to make sure your house gets maximum exposure on the open market to ensure that as many potential homebuyers will see your listing as possible. She will help you negotiate the offers that you receive and will answer any questions you may have throughout the closing process. Ventura County Homes By Ainslee strives to be the best when it comes to helping people look for and buy a home in Fillmore. If you are a Fillmore resident looking to buy a house in another city, Ainslee can help with your home search anywhere in Ventura County and beyond. In addition, she can match you with a trusted realtor if you are looking outside of Ventura County. Ainslee’s success in real estate can be attributed to her desire to truly help her clients. As a real estate agent in Fillmore, she will never push a client into buying a home that does not fit their criteria. Some realtors are only looking to earn a commission and will put their interests above their clients. Ainslee understands that the happiness of her clients is what leads to success, so she always puts the needs of her clients first and foremost. It is not uncommon for clients to tell her how much they appreciate her friendly attitude and the care she puts into helping them with their home search. Ventura County Homes By Ainslee can help you with any and all of your Fillmore real estate needs. If you are looking to buy or sell a home in Fillmore, Ainslee will be happy to help. To set up a free, no-obligation consultation, or if you just have questions about the Fillmore real estate market, feel free to reach out to Ainslee at any time. She can be reached at any time by email at AinsleeCharles@gmail.com or by text or phone at 805-232-8503. You can also fill out one of the forms on this page and Ainslee will get back to you just as quickly as possible.